Yesterday, Methoblogger John Meunier posted on his blog a quote from William Abraham. In fact, without the context of a whole network of claims about special revelation, the recourse to Scripture collapses. The modern loss of a working concept of divine revelation makes this patently manifest, for in those theological circles which can make no sense of any appeal to special divine revelation, Scripture simply becomes a body of ancient texts whose moral relevance has long been abandoned. For the heirs of John Wesley-- I will call them "methodists"-- the central importance of Scripture in the formation of God's people is nonnegotiable. Evidence for this claim in Wesley is easy to document. Consider Wesley's own words "Bring me plain, scriptural proof of your assertion, or I cannot allow it." "You are in danger of enthusiasm every hour if you depart ever so little from Scripture." In his eighteenth-century Britain, Wesley and his movement were slandered for their emphasis on Scripture. Like rotten tomatoes, names like Bible-bigots and Bible-moths were tossed at them by their detractors. Wesley wore these derisive words as badges of honor. So, for Wesleyans the Bible is essentially revelatory. The Bible does not and should not replace the central revelation of God in Jesus Christ. That would be, as more than a few have rightly noted, "bibliolatry." But the revelation of Jesus Christ as the decisive revelation of God cannot be separated from or extrapolated away from the Old and New Testaments. The Bible is a body of ancients text in which God has uniquely spoken. 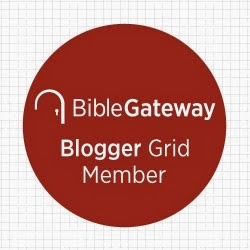 But what does it mean more specifically to read the Bible as Wesleyans? Well, it certainly does not mean reading the Bible as a detached observer. 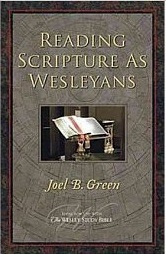 Green notes several Wesleyan assumptions in reading Scripture "in and for the church." He goes into more detail in his book. These assumptions are not necessarily unique to Wesleyans, but are emphasized in the study of the Bible. First, The "aim of Scripture is to lead us to and 'in the way of heaven.'" Second, Scripture cannot be interpreted apart from "other interpreters, contemporary and past." Third, "the Wesleyan tradition underscores the importance of theological formation for biblical interpretation." Scripture is read for the continual formation of God's people in holiness because the Bible offers to us "the way of salvation." For Wesleyans, the Bible is more than something to be taken seriously. It is more than "important for faith and life." The Bible is indispensable for Christian faith and life. We need to heed William Abraham's words. Green's second point seems overly simplistic and even a bit dangerous. From the beginning, the Bible has been interpreted differently, and over time we have seen how certain harmful interpretations, long held though they may be, have to be laid aside. If Green is saying that everyone must be in the conversation, no matter how much we disagree with them, then I would agree. Joel would argue that interpreting Scripture with the community past and present is critical to avoiding such harmful interpretations. And, yes, while there are a diversity of readings, and I believe that any given text can have more than one interpretation, that does not mean that all readings of Scripture are created equal. It's not only so-called "cultic" readings of Scripture that can be problematic, but some mainstream ones as well. The great conversation past and present helps us to discern which readings work and which readings do not, though it is certainly not without problems. Nevertheless, we need the great conversation to guard against the tyranny of crappy readings of Scripture.